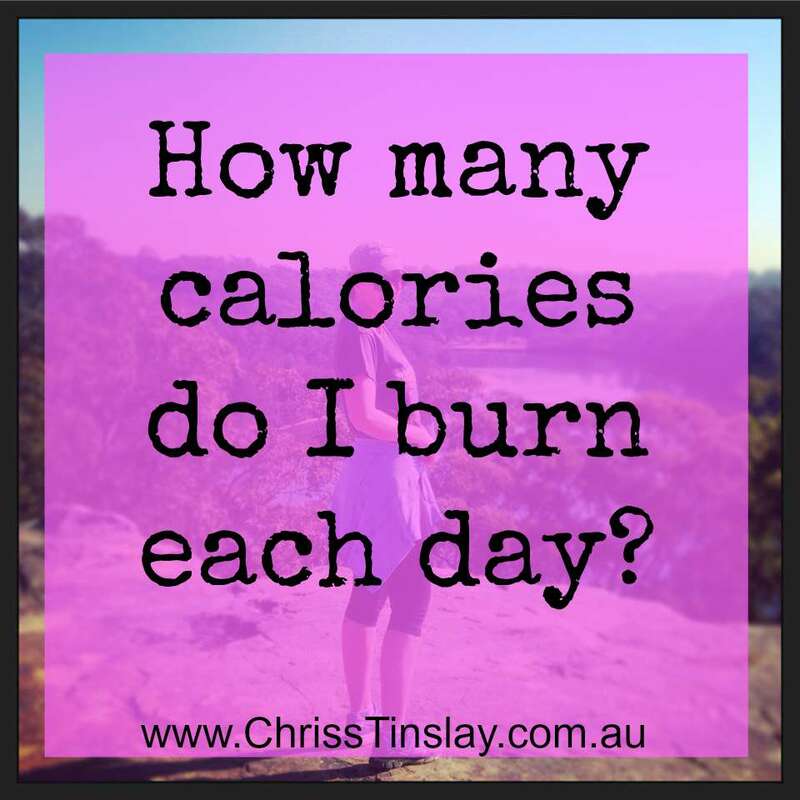 ChrissTinslay.com > Blog > Healthy eating > How many calories do I burn each day? There is ONE main overriding rule for weight loss. That is to consume less calories than you burn each day or each week. The technical term is to create a Calorie Deficit. However to set yourself a calorie deficit, first of all you need to know roughly how many calories you burn each day. I say “roughly” because unless you enter yourself into a science lab, you will never know the exact amount. However a rough amount gives us a good guide to start with. It doesn’t matter if you choose Paleo, clean eating, Keto, meal replacement shakes or simply healthy eating (which would be my choice btw), you must create a calorie deficit for weight loss to occur. Please don’t randomly assign yourself a target of 1200 calories. Take some time to find out (roughly) how many calories YOU burn each day. You can then set an appropriate calorie deficit in order to achieve long term sustainable weight loss, which usually means you get to eat way more food than a restrictive 1200 cal plan. How many calories someone burns varies greatly depending on height, weight (a heavier person burns more calories than a lighter person), age, muscle vs fat ratio, activity level, etc. I love the linked calorie calculator because it so clearly demonstrates all the ways be burn calories in a 24 hour period. Let’s look at 8 ways that Sally burns calories each day. We are burning calories every second of the day simply to keep us alive. Our heart beating, our organs functioning, brain working etc. This is known as our BMR. Basal Metabolic Rate. A small to medium female burns just under 1 calorie per minute, every minute of the day. The more you weigh, the more calories you burn. Non Exercise Activity Thermogenesis. Moving your body in small, subtle ways. Fidgeting, raising your arm to use the remote control, chewing gum, typing, changing body positions etc. **Worth noting – Sally moves for 6 hours on a Saturday when she spends all day chasing after 2 toddlers. The calories that she burns on Saturday are much higher than on a Monday when she is sitting in the office all day. Getting out of your comfort zone. Huffing and puffing and / or overloading the muscles of your body. Sally exercises 1 hour, 4 X per week. A hard exercise session that gets us way out of our comfort zone continues to burn extra calories AFTER the session is over. However don’t get too excited, its only a small amount in the scheme of things. The process of digesting our food uses up calories. Protein and fibrous vegetable have the highest rate of TEF. Sally makes sure to include protein and veg in most of her meals. Just like the portion plate guidelines outlined HERE. We burn a small amount of extra calories when we need to cool down our body on a hot day, or warm it up on a cold day. Sally spends most of her day in an air-conditioned environment. Consuming some foods such as this can raise our energy levels very slightly. Sally’s daily calorie burn = 2360. If Sally consumes less calories than she burns, we call that a calorie deficit. Example. Sally burns approx 2360 calories but she only consumes 1900. That’s almost a 500 calorie deficit. The calorie deficit causes her to lose weight. 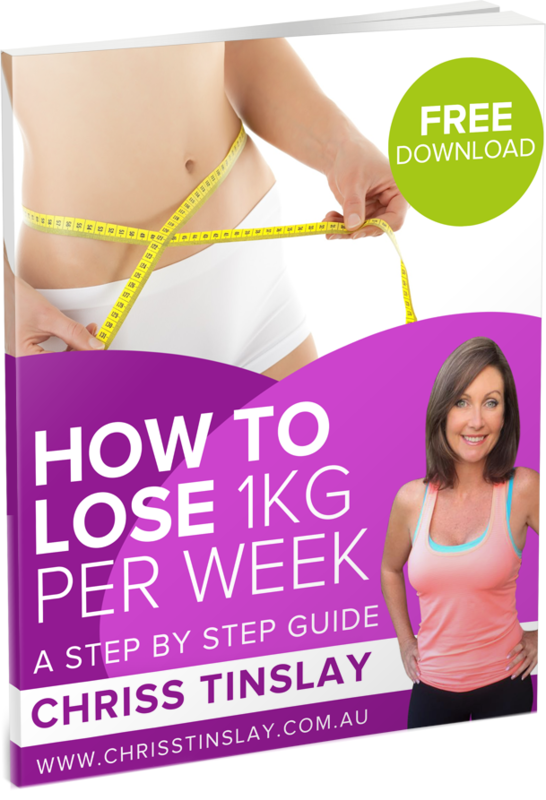 7000 calorie deficit = 1 kg weight loss (rough estimate). That may seem like a LOT of calories. Please know, it is SO easy to eat more calories than this if you are not careful and calorie aware. ** Please see a useful visual representation HERE. Chriss, does this mean that I need to count every single calorie IN and OUT? Just like managing your money budget, you can achieve most of this with awareness, habits and routines. Just like when you first learnt to manage your own money, it may take some more focus and effort and first, then after a while you will get into an auto-pilot routine. Does that mean I need to eat 1200 calories in order to lose weight? No. If you burn 2400 calories per day, eating less than that is a calorie deficit and will result in weight loss.